Cebu — a small island in the Visayas province of the Republic of the Philippines. It is the home to many mouth-watering dishes, prestigious companies, and most of all, exquisite beauties. 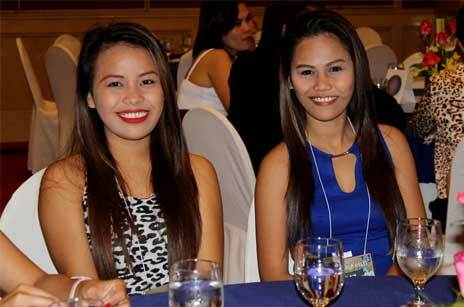 The ladies of Cebu have the physical traits of a traditional Filipino. From fair to dark skin, glowing under the light of the sun, with long dark hair that is their crowning glory. They also possess unmatched charms that will win your heart over with ease. These women will enamor you with a smile so warm that matches their innate bubbly personality. There is so much more to the women of Cebu that meet the eye. The values that were instilled in them as they were growing up have molded them into ladies of class. They uphold strong family values which makes them ideal housemakers and mothers in the future. Their upbringing and a strong belief in fidelity and loyalty result in a steadfast commitment to anything that they decide to set their minds to. Apart from their captivating looks and outstanding personality, Cebu women also have the intelligence to keep up with any conversation. They make good partners who you can talk to day and night about any topic under the sun. Their smart minds will pull you in, making them good company both in good times and in bad. The Queen City of the South is a gorgeous and promising place to find love. Its pristine beaches and overlooking mountain view decks make a good place for romantic dates. Experience this once in a lifetime opportunity of meeting Cebu singles in one of the best vacation places with the Cebu Women dating agency. We have partnered with the exotic beauties of Cebu that have signed up with our agency in the hopes of meeting and marrying someone who will love them wholeheartedly. 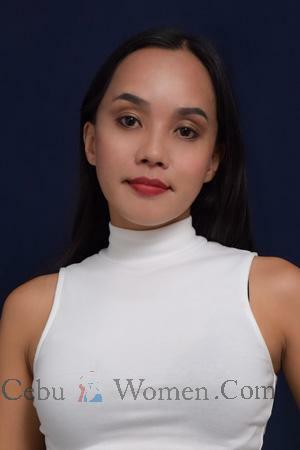 It’s a safe and secure service that gives you the opportunity to meet and acquaint yourself with hundreds of ladies from Cebu that could potentially be your next lover. Our commitment to the matchmaking industry is incomparable and has left our clients end their tour satisfied. The Cebu Women Romance Tours are your ticket to an exciting time with the hot single ladies of Cebu that are registered on our agency. Get introduced to an unlimited number of prospects and attend two socials that we have organized ourselves. Our staff will give full assistance during the social with professional interpreters. They mediate between our clients and the girls that make conversations smoother. We also handle post-social events, making us the only agency that provides a continuous service. Conveniently, a ready fiancé visa kit is already included in the tour package. Our dedication to our clients put us atop other agencies in the introduction and tour industry. Go out and find love in Cebu. Join our romantic tour in the comfort of a four-star accommodation served with a full breakfast buffet and a managed social with dinner and drinks. 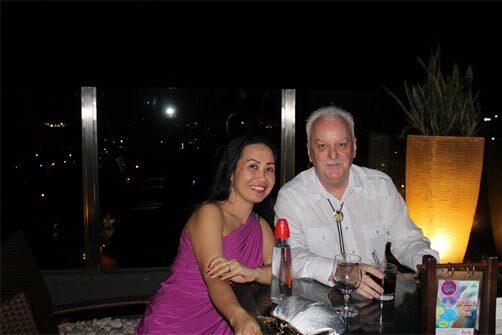 You’ll never know your lifelong partner might be on the next tour of Cebu Women. Don’t miss your chance today! Many tourists flock to Cebu for its glorious natural wonders but a lot of foreign men find love in the selection of local women too. The lovely ball of sunshine that they are can easily get to the heart and interest of anyone. More than that, here are some great reasons why finding love in Cebu will ultimately change your life for the better. Cordial and Outgoing - It is the nature of a native woman of Cebu to be friendly to other people even when meeting them for the first time. They just have a positive disposition that makes the people around them feel lighter and better. Their happiness is contagious that you would find yourself smiling all the time when surrounded by them. Hence, many of these ladies are very outgoing. From fine dining to a fun night out, they are always on the go. Affectionate and Naturally Caring - If you happen to go out with a girl from the city, you would eventually notice how caring they are. It’s a positive trait that these girls have that you don’t often see in others. They would always take the time to ask how you are and if you are enjoying what you are doing. Their sweetness and affection towards someone are one of the many reasons why they are such keepers. Timid and Modest - Despite the outgoing characteristic of Cebu Women, they are still undeniably timid especially when given compliments. You might hear them say that you are just being nice, or they would simply say the same compliment to you. Their modesty is admirable. Keep giving them these sweet words and you will easily win them over. Good English Speakers - Another pleasing characteristic of these ladies is their ability to converse with you in good English. They might not be as good as a native American speaker; their vocabulary remains to be impeccable. Talk to them without worries of possible miscommunication. Eager to Love Someone - Many would describe people of Cebu to have a tough exterior, mostly because of their tone of voice. However, behind that strong persona is a person of soft heart that is waiting for love to come knocking on her door. Once she falls for you, you can expect to feel a love so genuine that you wouldn’t want to look for somebody else. You need to MEET her to MARRY her! 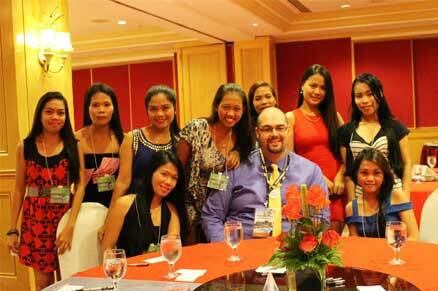 Join our singles tour to Cebu to meet your Cebuana bride. As dreamy as it is to date a Cebu Woman, it’s still blood, sweat, and tears to make it happen. You don’t necessarily have to shower them gifts or bath them in luxury. There are far better ways to increase your chances of dating a woman in Cebu. Here are some of the tips that you would need in winning the heart of a woman from the Queen City of the South. Let them feel their independence. It is natural for you to feel protective of your girl. You would want to keep them close at all times, but you should also remember to keep a loose grip on them. They don’t want to feel that they are suffocated by the commitment in your relationship. Give them the freedom and the voice to be your equal in your partnership. Don’t overdo the sweet talk. Words can make someone’s day, but it certainly is not enough to keep a relationship working. Your sweet words are still affected by your actions. Show them that you are really interested to give them the assurance that you are up for a serious partnership. Make it a labour of love. Show them the gentleman side of you. Offer to carry their things, pull out the chair when eating in a restaurant, open the car door for them, etc. These little gestures will go a long way since these ladies are very appreciative of everything done for them. As they say, actions speak louder than words. Be truthful with your intentions. Tell them what you expect from them. Is it just a casual companionship? Do you want to stay with them in the long run? Are you only into her for her physical traits? Honesty will keep them from assuming anything. Remember that a clean start for both of you is the key to a happy future. Eager to meet a lady to spend the rest of your life with? 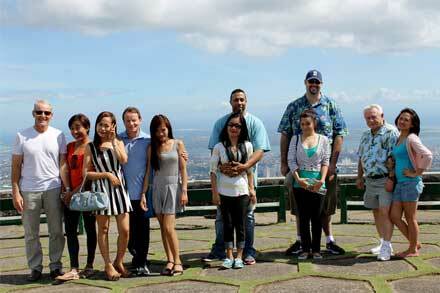 Join Cebu Women single tours and embark on a romantic journey to a city of beauty. Visit our Contact Us page and fill in the form for any inquiries and reservations. 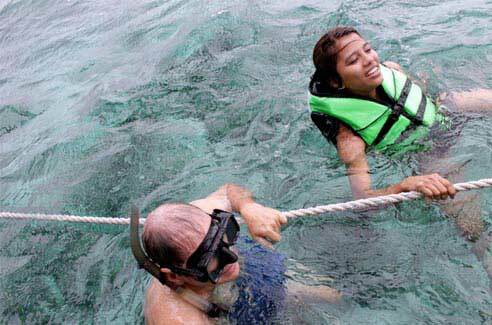 You can also check out the Cebu Tour Photos to see previous tours of our clients. Find your forever from the single ladies waiting for you in Cebu!